Spending a winter month in a warm-weather destination is a dream for many Canadians. But enjoying several weeks away from the frigid temperatures and feet of snow of the Great White North doesn't have to break the bank. These four Central American towns, loaded with natural beauty, culture, and budget-friendly places to call home, will encourage you to take a little more time off work this winter. Belize is becoming an increasingly popular long-term getaway destination for Canadians and Americans seeking postcard-worthy scenery they can call home for an affordable price. Caye Caulker's iconic town slogan is "Go Slow," and you'll find it difficult not to move at a snail's pace when you feel the laid-back Caribbean beach vibes. 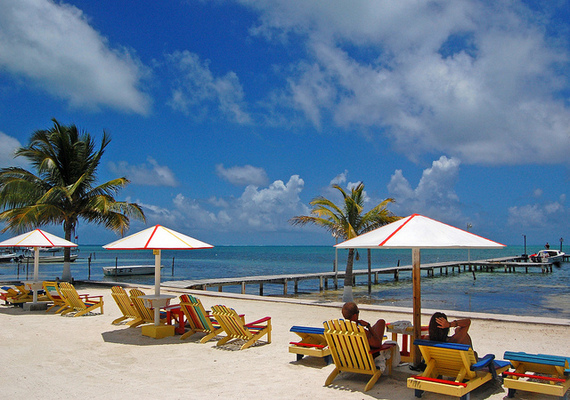 This lively island south of much larger Ambergris Caye is a haven for expats seeking rich history, renowned diving, plenty of shops and countless places to fill up on fresh seafood and frozen margaritas. It takes just 20 minutes to mosey from one end of the island to the other, making it easy to venture from your new home away from home at a at a tropical villa, guest house or suite to the many must-visit seaside hangouts. Panama is a convenient country for expats, but the use of the U.S. dollar, excellent healthcare and low cost of living aren't the only reasons to visit this alluring, warm-weather paradise. The highland town of Boquete is one place that can't help but appeal to North American travelers. Spring-like temperatures, lush mountains, abundant wildlife, plenty of shopping options and the opportunity for a simpler lifestyle make this town of 6,000 people ideal for escaping the Canadian cold. Boquete allows visitors to live a rural Panamanian lifestyle just a 40-minute drive from bustling David and one hour from the picture-perfect beaches lining the Gulf of Chiriquí. 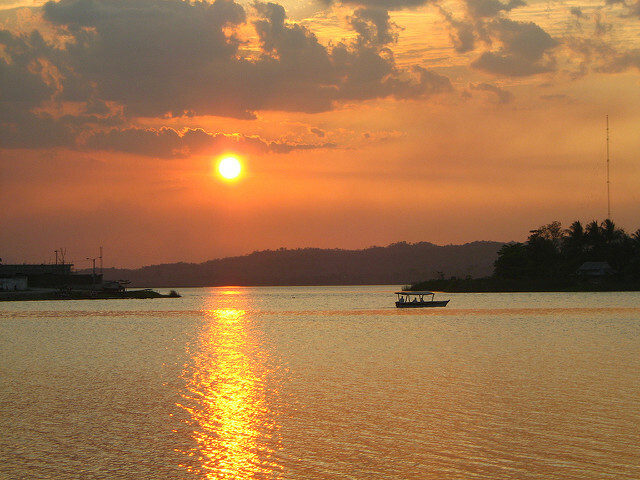 Flores is most well-known as a gateway to Guatemala's famous Maya ruins of Tikal. Although, you'll find yourself wanting to spend far more than a few days in the charming island town. You'll quickly feel like a local in this pint-sized, walkable city, packed with plenty of accommodation options, bars, eateries, shops and attractions to fill a long term stay with excitement. Picture-perfect red-roofed buildings and cobblestone streets seconds from the sea reflect the area's colonial heritage, making Flores far more than a simple jumping point. 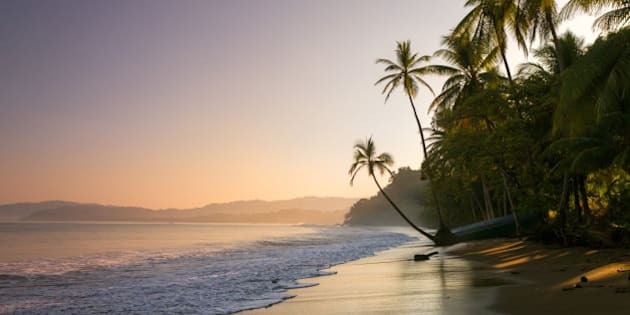 Santa Teresa is a beach town on the photogenic Nicoya Peninsula that embodies everything most travelers are seeking when visiting Costa Rica. Famous surfing waves crash onto pale sands while artists, yogis and laid-back beach bums gather to watch the country's famous west coast sunsets. Santa Teresa is a place where you can find budget-friendly accommodations, ranging from hostels to guesthouses and eco-friendly boutique hotels, at all times of year. You're bound to head back to Canada with a newfound love for riding waves, practicing yoga on the sand and snacking only on the freshest fruits and seafood. Santa Teresa is a winter escape that truly spoils its visitors.